myFICO is the consumer credit score site of the creator of the FICO credit score system, Fair Isaacs. 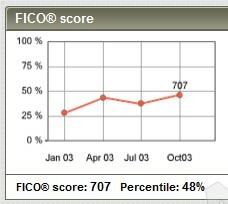 You have several options on the myFICO site for finding your FICO score online and monitoring your FICO score. myFICO does charge for access to your score but offers a free credit score trial to let you check out their ScoreWatch service. You can also find occasional discounts via their myFICO promotions. You probably already know that your FICO score is the credit score that many lenders — and even some insurance agents and employers — use to determine what sort of financial risk you represent. Variations of the FICO score are used in a number of ways to determine approval and rates for your mortgage, car loans, and credit cards. However, the FICO score is used by 90% of the largest banks and 100 of the top 100 U.S. credit card issuers so it’s the heavy hitter when it comes to credit scores. At the most basic level you get your FICO score, plus receive an explanation about what it means and an idea of how lenders view you. You can choose to see your FICO score from either TransUnion or Equifax, Experian no longer participates. FICO standard also includes a credit report from TransUnion or Equifax, whichever FICO score you choose – your score will likely vary somewhat across credit bureaus. 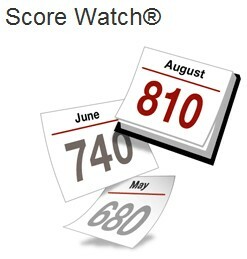 The FICO Standard score and report is $19.95, but as mentioned earlier you can see your credit score and credit report at no charge if you sign up for a free trial of ScoreWatch. ScoreWatch allows you to get two FICO scores and two credit reports from Equifax each year, and it keeps tabs on changes to your credit score. If you’re not actively tracking your credit score but want to check in on it a few times a year, FICO Quarterly monitoring can help you keep tabs on your score. 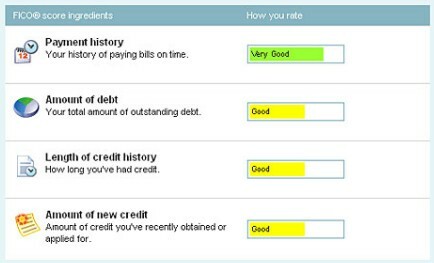 As you may know you’re able to get a free credit report every year from each credit bureau from annualcreditreport.com. This service uses TransUnion and makes your credit report and credit score available every quarter. The one extra credit report you get from the myFICO service is nice but you might not really feel like you need it. The main benefit of this service is that you get your credit score in addition to your credit report. So every three months you receive a score and report, and an explanation of the positive and negative items affecting your score. You can identify problem accounts, as well as look for ways to improve your credit situation. The Quarterly Monitoring service will also alert you to changes in your credit score. In the event that the change was due to identity theft, myFICO’s Quarterly Monitoring also provides identity theft insurance for up to $25,000 and a hotline to help you file id theft reports and complaints. While ScoreWatch and Quarterly Monitoring are setup to keep track of your credit score over time, the Suze Orman FICO kit is designed to walk you through the steps to help improve your credit. Created along with personal finance author Suze Orman, there’s more coaching and what-if analysis in the FICO kit. Suze Orman’s FICO Kit gives you three credit reports and scores a year. The kit also includes the FICO Kit Action Planner that helps you take the information in your credit report and plan out steps to improve your score. You can tailor the tool to your personal situation with their tools like the debt eliminator, bill pay reminders, and online coaching to help you get a car loan or home loan are included. 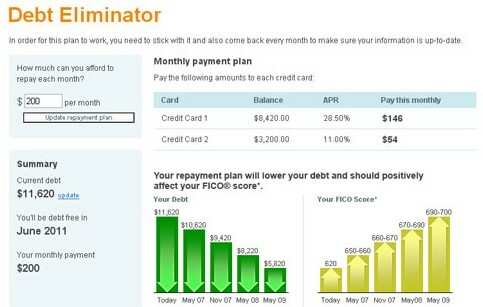 You can also use the FICO Simulator, which allows you to estimate the effect certain changes would have your score. I just tried the “free” MyFICO ScoreWatch trial. It could be a nice tool for monitoring credit scores, but there is nothing free about it. The instructions for ending the trial are very difficult to find. After finding and following those instructions closely, I find that my credit card has been charged. After a few complaints there is still no response from the “customer care” team, only a form email that let’s me know that I will be charged for 3 months in a row at which point I will have a one month window to cancel. I am very disappointed in this company and their false advertising. I thought you and your readers would like to know to avoid this trap.